TAMPA, Fla., Dec. 12, 2017 /PRNewswire/ -- A joint venture affiliate of Tampa-based Blue Magma Residential LLC and New York-based NCP Enterprise Funds announced it acquired a $34 million Southeast multifamily portfolio comprised of three prime value-add assets. Included among the 604-unit, 565,282 square foot purchase were apartment home communities in: the Atlanta suburb of Covington, Ga.; Robinsonville, Miss., near the Memphis-area casino resort Tunica, Miss. ; as well as Dothan, Ala. Cushman & Wakefield, Atlanta, brokered the transaction, and Ladder Capital provided debt financing for the purchase. 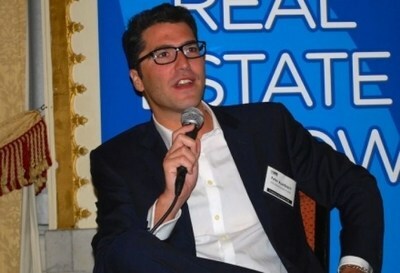 In making the announcement, Reuven Oded, Founding Partner of Blue Magma Residential, added, "With 97 percent occupancy at closing, this unique portfolio represents outstanding value-add opportunity in well-positioned markets." Elaborating, Oded said that the joint venture will also invest over $5 million in exterior and interior upgrades. 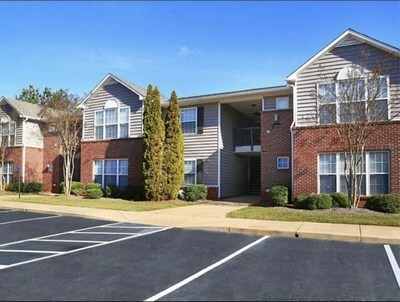 Purchased for $15.2 million, the 188-unit Orchard Cove in Covington, Ga., will be re-branded and marketed as The Park at Arlington. The 232-unit Gardens of Canal in Robinsonville, Miss., acquired for $11.6 million, will become The Park at Brighton. Lastly, the 184-unit Madison Square in Dothan, Ala., was purchased for $7.8 million and is being renamed The Park at Ashburn. Blue Magma Residential is a leading investment and management company which through its affiliates co-owns and manages over 9,000 apartment units in Florida, Georgia, Alabama and Mississippi, said Oded. Oded continued, "Our team has a track record of acquiring close to $1 billion of similar properties in the Southeast over the past two decades, while we continue to deliver superior value to our residents through our creative renovations, our branding and our dedicated management systems. We believe in a win-win for both the residents and the ownership. We intend to continue to invest in the Southeast markets with professional, insightful and solid capital partners like Peter Auerbach and NCP Enterprise Funds." Peter Auerbach, NCP Enterprise Funds Co-Founder and Chief Investment Officer, stated, "This opportunity aligns perfectly with one of our core principles: generate cash-flow to investors while making improvements to the physical assets. We gravitate towards transactions where there is common-sense work to be done that does not rely on arbitrary exits or financial engineering." Auerbach added, "We are extremely impressed with the entire team and Blue Magma in particular, and are looking forward to working hard for our collective investors on this key portfolio. Most importantly, we feel that everybody wins in situations such as these. When people have a nice place to live that is affordable, they often feel better about themselves, have more comfort, and have some peace at the end of the day to spend with family and loved ones. Investing in such endeavors with people like Reuven Oded and his team enable us to live up to one of our internal mottos: 'Do well by doing good.'" Blue Magma Residential LLC's headquarters is located at 5650 Breckenridge Park Dr., Suite 302, Tampa, Fla., phone 813-620-0800 Ext. 222. 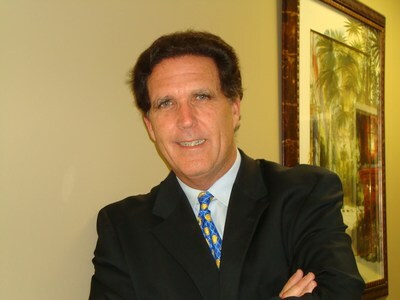 Blue Magma Residential LLC is a privately held commercial real estate investment firm headquartered Tampa, Fla., which through its affiliates, co-owns and manages over 9,000 multi-family units throughout the Southeast. Blue Magma strives to create dedicated brand recognition in the markets they serve. They dwell on every aspect of the assets they own and manage, and their work is manifested through their signage, color schemes, landscaping, mantra signs, state-of-the-art business centers, beautifully appointed models, high tech gyms, electronic gating systems, designer-like interiors and fixtures, and their highly motivated and dedicated staff. NCP Enterprise Funds is a privately held commercial real estate investment firm headquartered in New York City that manages funds on behalf of its investors. The Company invests in distressed, deep value-add and contrarian investments in the United States and follows an opportunistic strategy. Enterprise was founded and is managed by Brian Watson and Peter Auerbach. NCP Enterprise focuses on partnering with local real estate operating partners throughout the United States and looks to invest in undermanaged assets, distressed assets, REOs, and risk mitigated developments in the retail, industrial, office, multi-family, medical office and manufacturing asset classes.